It’s time for the holidays! 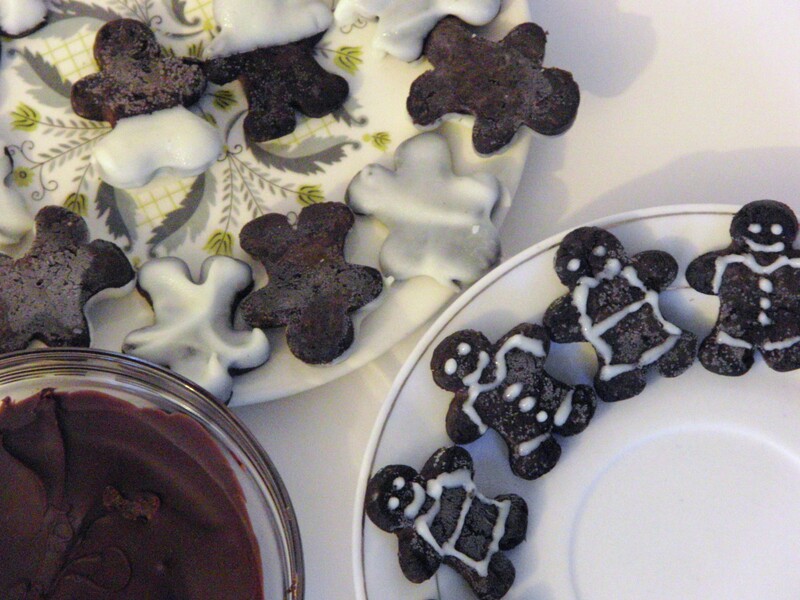 And everyone knows what that means…time for holiday baking! Everyone I know does the usual frosted sugar cookies that look too good to eat. This year I wanted to be a bit different so I decided to make some…Festive Gingerbread Cheesecake Truffles! These one-biters are so cute! The filling can be whatever flavor you want . I opted for some Oreos that I had on hand for a quick recipe but if you have some actual gingerbread handy, use those. Hey, you can even use those sugar cookies that you haven‘t gotten around to decorate 😉 These gingerbread men are bite sized and so adorable to make. And best of all, it’s a no bake recipe. Have fun! PS: I loved these pictures that I took when I was making them, so for this post, there are a lot of pictures.